The Dreaded Deadline Doom (and yes, I AM going to keep talking like Stan Lee, thank you very much!) 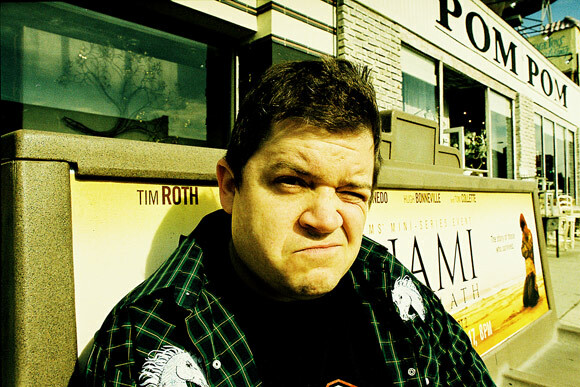 is upon me, so I’ll just mention two things that are Patton Oswalt related. Which reminds me (uh…True Believer! ), have you gone and bought his very funny CD yet? It is available at all fine Targets throughout the land! Goddamn it, KFC. Just…goddamn it. Stop. Please stop before you kill us all. You’re CHICKEN, how can you be so…I dunno, McDonaldsy about all this?! And now, because it pleases me to do so, the aforementioned Oswalt bit about KFC Famous Bowls. 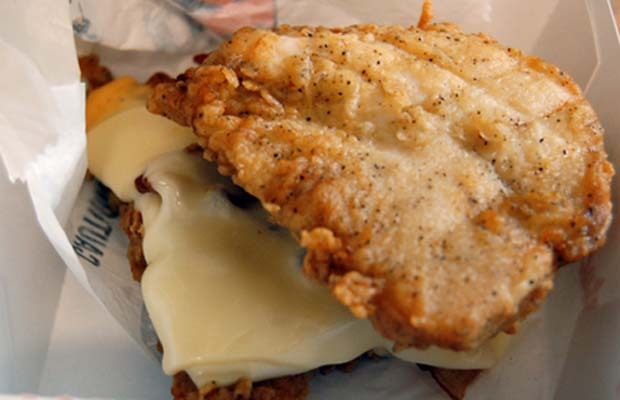 That KFC’s excuse for a sandwich could be my answer to gaining weight. @Moff: Oh jesus christ, you’re right. Now I think we’re maybe two months away from seeing a real-life Leo Spaceman infomercial. Why are the most creative people so evil? Can you even classify that contraption as a “sandwich”, if the only bread product surrounding it is deep-fried batter? My sister refers to the “KFC/Taco Bell” bowls as “troughs”. And she’s not even a mean person. oh boy, I can’t wait until those things come to my locl Kentaco Bell! Mark my words, the chickens will revolt.